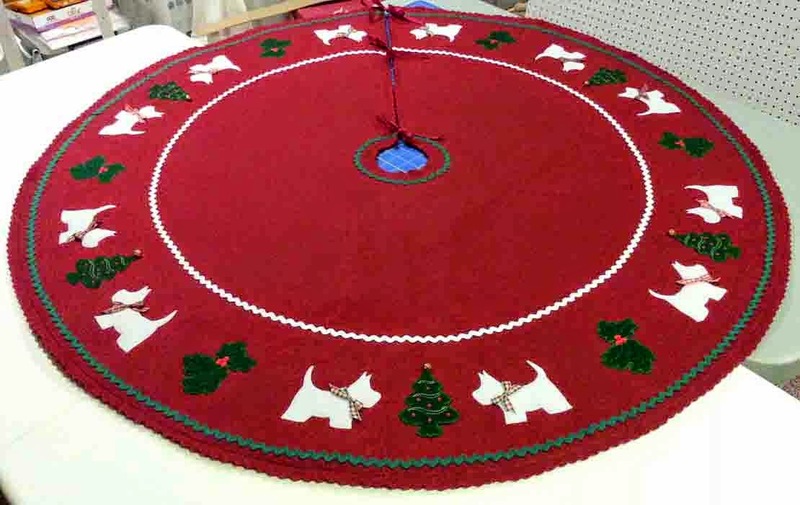 Denise has already posted about our latest Material Girls adventure in her daaquilts blog, so I won't duplicate too much of it here. We had all day to wander and take in all the exhibits this time around at the 2007 Convention of the State Quilt Guild of New Jersey, entitled Jersey Gems, and I spent a good portion of the day doing just that. I keep saying I'm not a quilter . . . but I like to try different techniques, and the fabulous works of art that were on display were an inspiration in both technique and color composition. One piece I particularly liked was in the wearable section -- a quilted teal dress (one of my favorite colors!) and in its description it noted it was worn by "the eccentric mother of the groom". Not a traditional MOG dress, but quite beautiful. Several of the quilts drew my attention because of their colors -- right now I'm attracted to all variations of blue, aqua, teal and green. I want a new bedspread and those are the colors I keep dreaming about. There were 2 or 3 quilts on exhibit that I wouldn't have minded purchasing, if only they were available. But, since they weren't, I've got a crazy idea that I might make one. Me, the non-quilter, wants to make a bedquilt . . . we'll see how that goes. I did take a photo with my phone of one quilt that really caught my eye -- sorry, I don't remember the quilter's name or anything else about it! I just really like the colors. This is just a small section of the quilt; I don't think my phone-cam photo does it justice! I didn't have a shopping list with me, but I was looking for fabrics in my color range. For which project, I don't know, but I'll use them eventually. Maybe I'll get to make mysef a quilted tote one of these days. One of the very first vendors I stopped in had a bundle of 1/2 yard cuts which were meant to be used to make a quilt; as I've said, I'm not a quilter, but I really liked one of the fabrics in the bundle. And since I didn't find anything else like it anywhere all day, I ended up buying the bundle and received the free pattern for the quilt. I love free stuff. So, naturally, now I'm mentally debating about how I (as a non-quilter) can make this quilt AND make it reversible AND quilt as I go so when I'm done, there's no extra finishing to do. One of the vendors at the show was Creative Sewing/Above & Beyond Creative Sewing which has shops in Paramus, NJ and Nanuet, NY. I noticed the Creative Sewing shop opened in Paramus sometime last fall/winter, and have been trying to get a chance to stop in ever since. They are Pfaff dealer, and the Pfaff accessories won't work with my Husqvarna Viking, so I haven't felt an urgent need to get there. I had a chance to chat and found out that they carry a variety of threads, stabilizers and notions that I might be able to use, so I will have to make a point of stopping at their shop soon. They also offer classes in various sewing techniques, including machine embroidery and serger sewing and they assured me that I didn't have to have a Pfaff to attend a class. They demonstrated the coolest table -- it has an airlift to store your sewing machine under the flat surface when not in use and the table lifts and lowers depending on the user's height; can be raised up higher when cutting fabric or lowered when sewing. The only drawback is the pricetag -- starts about $3800. 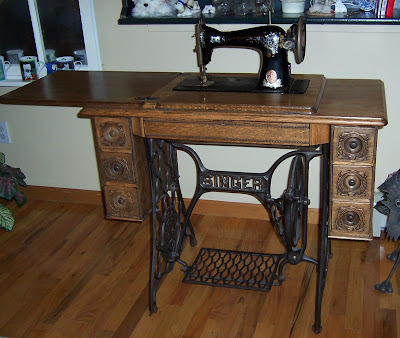 I don't see myself adding that to my sewing room in the near future. All in all it was a good day, my stash has been very nicely enhanced, and I have at least 3 new projects rolling around in my head for the future.